Which Chipmaker Leads The Autonomous Driving Space? Semiconductor manufacturers are clawing to become the core drivers of the autonomous vehicle industry, and three have emerged at the vanguard. NVIDIA Corporation (NASDAQ: NVDA) is the undisputed leader with Advanced Micro Devices, Inc. (NASDAQ: AMD) and Intel Corporation (NASDAQ: INTC) still proving themselves in the space, said Tigress Financial economist Ivan Feinseth. Feinseth said he suspects automakers are testing a lot of products, but primarily Nvidia’s DRIVE PX. 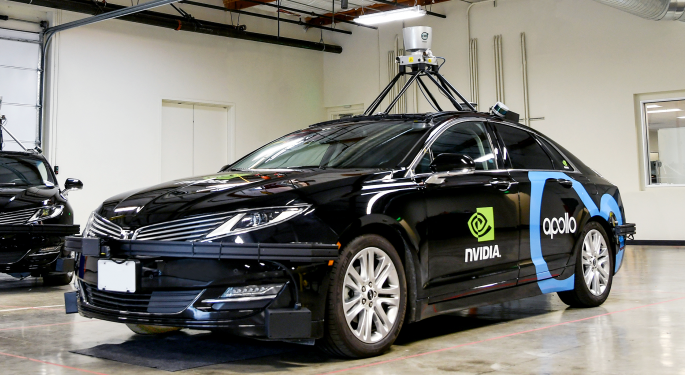 Nvidia's autonomous position doesn't come for a lack of effort. Although declining to comment on its investments, the company is seen to have the most chips in the game. The chipmakers do not break down their research and development spending to distinguish AV investments, but Feinseth said Intel and Nvidia likely invest the most when taking their overall budgets into consideration. Intel spends $13.1 billion on R&D annually, followed by Nvidia’s $1.7 billion and AMD’s $1.16 billion. Intel and Nvidia are also considered leaders in their industry exposure. Last year, alone, Intel acquired MobilEye, a creator of collision avoidance sensors, and secured AV partnerships with the likes of Fiat Chrysler Automobiles NV (NYSE: FCAU), BMW, Waymo, Warner Bros. and SAIC. 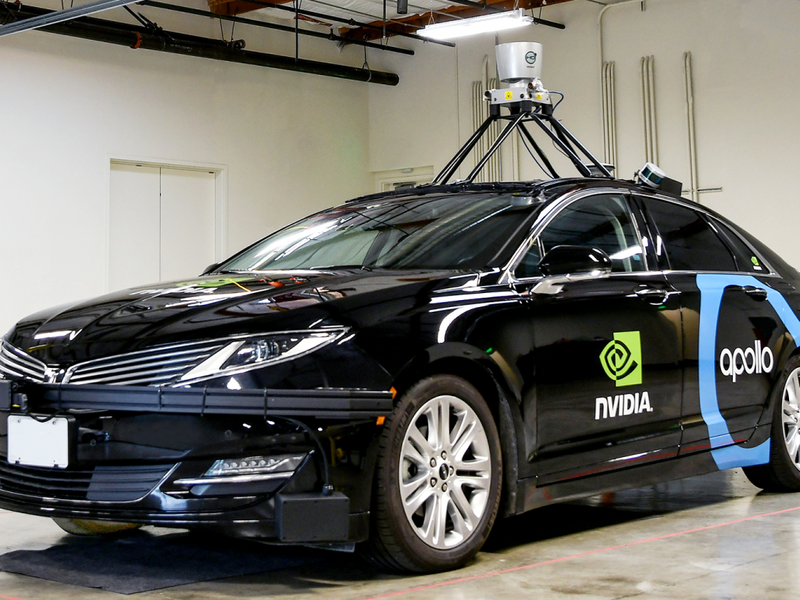 NVIDIA released its Pegasus AI computer product and established partnerships with Audi, Tesla Inc (NASDAQ: TSLA), Toyota Motor Corp (ADR) (NYSE: TM), Volvo, Volkswagen, Uber, Mercedes-Benz, Airbus, Bosch, Autoliv Inc. (NYSE: ALV), Continental, Baidu, ZF and others. AMD seems to be lagging, having only been rumored to partner with Tesla. If that’s true, it's a big deal for the chipmaker, Feinseth said — but the company would not confirm such a partnership. “We do have plans to expand our presence in automotive,” AMD spokesman Drew Prairie told Benzinga, confirming an expansion of support for machine-learning software frameworks. Earlier this year, AMD announced it would soon sample a 7-nanometer GPU optimized for machine learning applications. AMD intends for the product — coupled with its production-level machine-learning environment supporting TensorFlow and Caffe — to poach market share from Nvidia. “The software advances make it much easier to program using AMD GPUs for high performance compute and deep learning environments,” Prairie said. Despite the developments, experts don’t expect Level 5 vehicles to be on the road until 2020 at the earliest; in Feinseth's view, the industry is at least five years away. When the rubber finally hits the road, though, the revenue opportunity will be vast. Intel views AV technology as $70-billion market by 2030.